Home » Avoiding online scams, things to watch out for! Avoiding online scams, things to watch out for! The Top 8 Online scams! Things you need to be watching out for. Help during natural disasters – Every time nature’s fury is unleashed in the form of an earthquake, flood, tsunami, or a volcanic eruption, people suffer. And relief operations are set up to help the affected people. At the same time, natural disasters are a perfect opportunity for scammers to appear online and trick people with sob stories. Some will even go to the extent of putting up fake charity websites and then directing people to make a donation there. Be wary of suspicious emails soliciting donations following a natural disaster, these could be phishing emails designed to steal your personal information. And online dating sites are not safe from the depredations of these scam artists. If you hear a person weaving a sad story related to a natural disaster on an online dating site, be wary. Under the circumstances, such a person should not be on an internet dating site. Emergency in Ghana – A very elaborately woven plot, would be funny were it not for the fact that this one often succeeds so many with gullible online daters! Since many scams originate from Ghana and Nigeria, people are wary of long distance interaction with people from these countries, particularly if it calls for an investment of money or emotions. The scamsters, therefore, fake identities and strike relationships posing as residents of the U.K, United States, Australia, Canada, etc. They are persistent in their efforts to gain the confidence of their prospective victims and will interact with you for months on end till they feel that a degree of comfort or intimacy has been established. And then the scam begins to take shape. A sudden and desperate need for money crops up; can be because of a medical emergency of a relative in Nigeria, an accident in Ghana, or to extricate a helpless lady stranded in Ghana. No possible scenario of human misery is exempt for these scammers. They will try their best to tug at your heart-strings. Plane Tickets and Visa Problems Scam – Once used to be the favorite trick of Russian and Filipino scam artists, but have become more universal and sophisticated over time. Now, no longer will your online lady-love from these exotic lands ask you directly for the price of a plane ticket to come and visit you. Instead, the smart ladies first assiduously lay the groundwork before springing the scam. You will receive scanned copies of the ticket to convince you of the genuineness of their intention and the earnestness of their love for you. They will not ask you for any money…till the last-minute. And then some unforeseen technical snag will crop up that is supposedly holding back the clearance of their visa. Something that some amount of money can resolve and you will be expected to pay that amount. These scamsters that pick up gullible candidates to fool on online dating sites really know what they’re doing. They are well-versed in the rules of immigration and the sort of glitch they cite to wrangle money out of you will most likely be a perfectly plausible one. Be careful here, or you are risking being cheated out of your money. Online Lotteries Scam – The most common scam going around on the internet and still going strong. Visitors to internet dating sites are considered fair game by these con artists. You may be inveigled into believing, usually via email, that you have won a really huge amount of money. The sender of the email may ask you to part with your personal details such as bank account number, social security number, etc. Do not do that and do not send any money to the person. It’s a scam. Business Opportunity Scam – This one taps into the human desire to see one’s income grow. And the internet has put at the disposal of scammers all the gullible suckers of this world. Business proposals are sent across via emails, snail mail, and often cold calls are made to get people interested. You may be asked to invest in perfectly legitimate sounding business ideas with the promise of handsome returns. 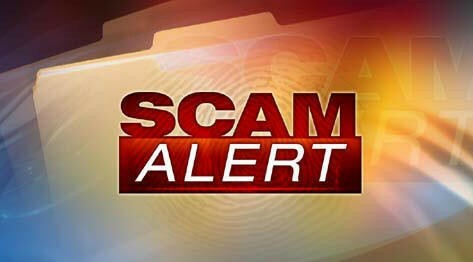 Or the scammers may dangle the carrot of a lot of money in a short period of time through the transfer of funds from a top military general’s bank account, a hot trading tip, or schemes that promise more riches than common sense would allow you to believe. As a rule of thumb, stay away from investment offers that appear out of nowhere in your inbox. Check with a finance consultant before investing your time and money in any scheme. Money Order / Wire Transfer Scam – Another one of those scams that are dependent on the scammer skillfully developing a relationship with the unsuspecting victim before making a pitch for money via money order or a wire transfer. The con artist plays the role of a foreigner in Ghana or Nigeria and professes inability to cash out money orders. For the good-natured online friend, helping out a pal with $20 or $50 is not a big deal. But what happens is that through skillful forgery a money order for $20 becomes one for $2000; the money is paid and when the bank detects the fraud, the sender is held accountable for the remaining amount. Fraudulent inheritance claims – Another hilarious one that makes you wonder at the greed and credulity of people; a windfall through inheritance is not unheard of but is heard of mostly in stories. And yet there is no dearth of people who will allow themselves to be duped of their hard-earned money in the hope that they will spend the rest of their lives in luxury living off an unknown benefactor’s money. But you know, there isn’t a happy ending to this. Just a rude jolt and a deduction from your bank account. One variant of this inheritance claims scam is the trickster asking for your bank details so that he can transfer his inheritance money to your account, because he is in some part of war-torn Africa and is unable to get such a big sum out on his own connections. And if you make the mistake of handing over the bank details to the fraud, you are setting yourself up for the possibility of having your bank account cleaned out. Medical Emergency Scam – Yet another favorite with confidence tricksters that they do not hesitate to make use of anywhere, including online dating sites. As with some of the other scams, this one too relies on the striking up of a friendship that may progress on to a deeper bond of affection. These scammers too mostly operate out of Africa and rely on tugging at your heart-strings by concocting medical complications ranging from brain tumors, and cancers, to horrific accidents. These purported tragedies are aimed at making you reach for your purse. Don’t do that. You are being scammed. These intrepid chiselers have gone to the length of having a “doctor” talking to you on phone, invoking a medical emergency and stressing the urgent need for funds for treatment. Beware. Make sure to bookmark our Online Dating Scam Alert! Here is a AWESOME DEAL for Match…. TIP. Join for 6 months & SAVE 20% Off!! !